Property Details: 3 Bedroom, 3 Bathroom Home with approx. 1796 square feet. 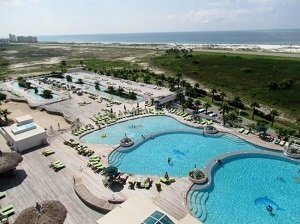 Caribe condo for sale in Gulf Shores-Orange Beach-Perdido Key. Exquisite Condo with Custom Drapes, Custom furnishings, Tile Floors throughout, Kitchen-Aid Stainless Appliances, Matching decor, NEW Bar Ice maker in 2017. Sleeps 10 plus, and more. Enjoy the complex amenities : indoor pools with slides, outdoor pools and tube slides, lazy river, hot tubs, fitness center, tennis courts, putting green, on site grills, assign parking and more. Enjoy the Expansive Unobstructed View of the Gulf from the Large Balcony Overlooking the Lazy River and Pools. Walk to Cobalt the Restaurant or eat at the Grill. The Gulf is a short Walk or Ride the Caribe Beach Shuttle.